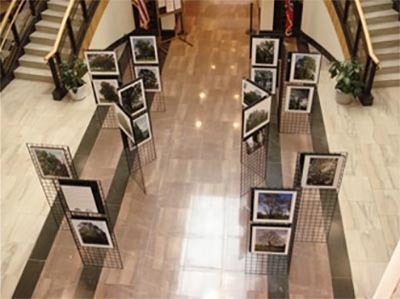 This touring photo exhibit showcases trees from TUFC’s Tree Registry and the state Division of Forestry’s Champion Tree Program. Since the exhibit premiered in 2005 at Legislative Plaza of Tennessee’s Capitol, it has been displayed in venues across the state. The Council needs this request form be submitted in order to reserve and schedule the exhibit. To facilitate coordination of the exhibit and the physical transportation of the exhibit, requests should be submitted a minimum of 3 months prior to the requested starting date of hosting the exhibit. Please check this box: Please check this box: I understand that the request must be 3 months in advance.